Join us in DC on Feb. 14th! The Parents Circle – Families Forum is a joint Israeli-Palestinian organization made up of more than 600 bereaved families. Their common bond is that they have lost a close family member to the conflict. But instead of choosing revenge, they have chosen a path of reconciliation. Through PCFF programs, these bereaved members have joined together to take tens of thousands of Palestinians and Israelis on their personal journeys of reconciliation. It is often raw and always emotional. But out of these interactions, comes change. 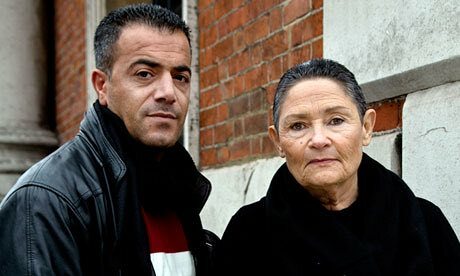 Please join PCFF’s bereaved members, Robi Damelin and Mazen Faraj as they share their stories of loss and their unique choice of reconciliation. Participate in a discussion on the human side of the conflict and why relationship building, mutual understanding of the “other side” and a reconciliation framework is necessary for any sustainable peace agreement. 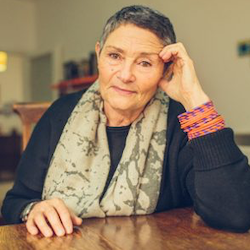 Robi Damelin is the Israeli spokesperson of the Parents Circle. Her son. David, was killed by a Palestinian sniper in 2002 while guarding a checkpoint near a settlement during his army reserve service. Robi speaks to Israeli, Palestinian and international audiences all over the world to demand that reconciliation be a part of any peace agreement. Robi was named a 2015 Woman of Impact by Women in the World. In 2014, Robi was selected by the Joan B. Kroc Institute for Peace and Justice as one of four Women PeaceMakers. She is the protagonist featured in the documentary, One Day after Peace. 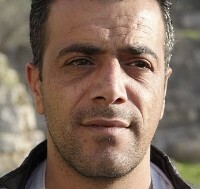 Mazen Faraj lives in Daheshah refugee Camp, Bethlehem, Palestine. Mazen spent several years of his youth in Israeli prison. There, he learned informally politics, Hebrew and history of the Middle East. In 2002, Mazen’s father aged, 62, was killed by an Israeli soldier, mistaking his bags for something else.He chose the way of reconciliation and believes that it will lead to justice and peace. He is the Co-General Director of the Parents Circle. Howard Sumka (moderator) is on the board of the American Friends of the PCFF. He was a Minister Counselor in the Senior Foreign Service with the U.S. Agency for International Development. 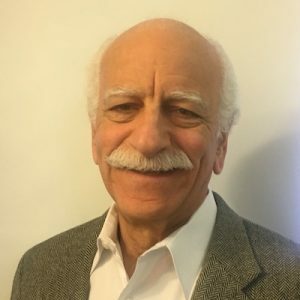 From 2006-2010, he was based in Tel Aviv as director of USAID’s Mission to the West Bank and Gaza overseeing programs for Palestinian economic development and state building. He was the CEO of the OneVoice Movement in 2011-2012 and is on the advisory board of Zimam, OneVoice’s Palestinian partner. He holds a PhD from UNC-Chapel Hill and is a recipient of the President’s Distinguished Service Award and the USAID Administrator’s Distinguished Career Award.